It’s happening again. Ubisoft’s next Assassin’s Creed installment is leaking early to the internet however unlike last year (when they company went with an official announcement on Game Informer) Ubisoft is covering their tracks and having the videos pulled or moved to private but it’s the weekend who knows what’ll happen on Monday. Just about 5 hours ago Game’s Radar posted the premiere trailer. So this is it everyone! 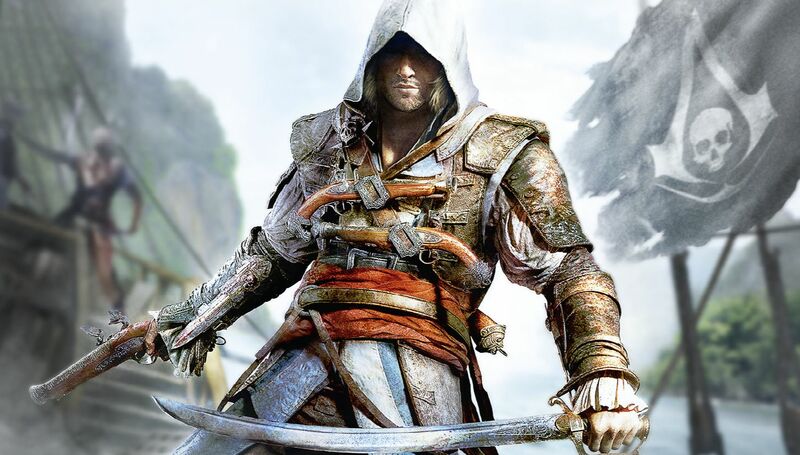 Part 4 will be taking place in the 18th century Caribbean following the exploits of the pirate Edward Kenway. Haytham’s father and the grandfather to Ratonhnhaké:ton. The infamous Blackbeard is in it and matter of fact he’s the one narrating the trailer describing Edward. A talented pirate who fights “like the Devil dressed as man” while he’s his Assassin-side to himself. This is quite interesting altogether. I was expecting the future titles to follow Ratonhnhaké:ton – especially with him going to France after being told about the country it during the American Revolution. His people were dying and he couldn’t stop it no matter what. He had lost his home, family and friends. I was hoping he would leave to another city at least to Louisiana and meet Aveline. However, this surprise is just as exciting. We’ve seen badass naval battles and we count on more of those. The trailer features underwater swimming thus proper swimming mechanics and there better be if we spend a lot of time sailing the high seas. Edward fights with dual swords and pistols. Lastly, of his talents – which maybe part of the trailer and not the game – Someone who has a lady by his arm is silently struck down in a dark street during a lightning storm by Edward’s hidden blade as the body falls to the ground Edward grabs the victim’s companion and forces her to walk away with him as a form of blending. Of course we have questions. Who is using the animus after Desmond? If you finished the epilogue of Assassin’s Creed 3 we discover a new way to access memories. What is the significance with Edward Kenway and why wasn’t it mentioned before? Will this explain a hint to why Haytham betrayed to the Templars? Last year Ubisoft did say Assassin’s Creed is numbered whenever a new protagonist is at the helm. I can’t wrap my head around AC 4 as a fresh “new” game. Time will tell. The game is slated for October 29th. It will available for current and Next-Gen consoles. Pre-ordered copies from Gamestop will come with a limited edition poster designed by Todd McFarlane. YES!